Rest assured that we’re still working hard at getting TDM ready to go standalone, which means that you will no longer require Doom 3 in order to play it. Before we can do this, we need to make sure no Doom 3 assets are being referenced by TDM anymore, so most of our time since the release of 1.08 has been spent making replacements for those assets. It’s a great deal of work, as there are sounds, textures, models, particles, and even animated characters that need replacing. I can tell you that work is progressing well, however. Several members of the TDM community have chipped in contributions, including sounds from Simplen00b and plasticman, models from RPGista and Baddcog, and textures from SeriousToni and Radiant. 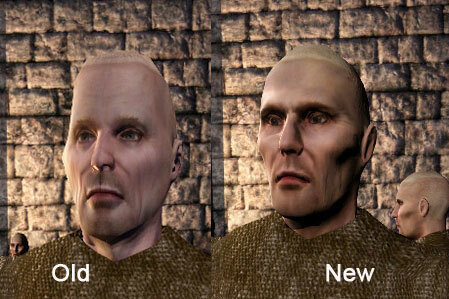 Greebo contributed our new zombie character, and Arcturus has been working on animations for it. 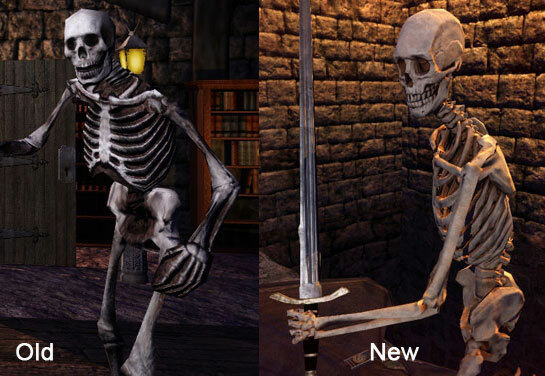 Mr. Lemony Fresh has contributed an absolutely fantastic new skeleton mesh, and Springheel has replaced all the D3 heads and body parts being used. I think you’ll be happy with the quality of the replacements when you see them. We are getting there. I was able to load up Chalice of Kings last night and play through start to finish with no Doom 3 in sight, and no missing assets either. If things continue to go smoothly, we’re hoping for a standalone version of TDM sometime this fall. In case you’re worried that the next update will only provide replacement assets and nothing else, fear not! Grayman has been coding like a madman, solving dozens of annoying bugs that have plagued TDM from the start, including the infamous “sleepers falling through the floor” and “AI attacking with no weapon” bugs. He has also fixed a lot of AI communication, so AI talk to each other more, and notice when each other are in trouble in ways they weren’t doing previously. He has also fixed some major sound issues, added the ability for archers to switch to melee weapons at close range, created new behaviour for AI who witness someone killed, and so many other things I can’t keep track. With all the excitement surrounding the announcement of the new “Thief”, we know people are eager for stealth games to play. TDM is proud to be able to help fill that niche while we all wait to see what Eidos has to offer in 2014. The first mission of our upcoming “Unusual Gameplay” contest has already been released, and others are coming before the August deadline. Enjoy!